Your luxury listings that qualify for Carriage Trade by price criteria are automatically prequalified and published to carriagetradeproperties.ca, our exclusive luxury property website. Carriage Trade listings also enjoy exclusive exposure on royallepage.ca with Featured Property rotation on the home page and a distinctive Carriage Trade flag. Three times the average residential sale price in all other markets. For prequalification, a minimum list price has been assigned to select markets, including many of Canada’s largest centres and provincial capitals. The provincial average residential sale price applies for all other markets. Only Freehold, Condo and Recreational properties that meet or exceed the minimum list price and include no less than four photos are eligible for prequalification. The minimum list price is set by the previous calendar year’s average residential sale price, and where not available, the average residential sale price for December of the previous calendar year. Average sale price data is acquired from CREA or the local real estate board and is updated annually each February. How am I notified of prequalification and what are my options? Your qualified listings are automatically published. 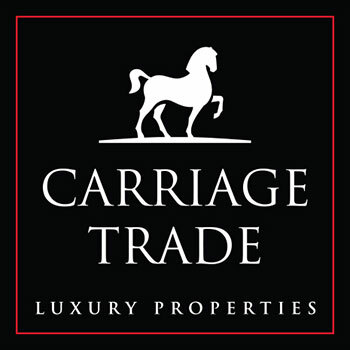 Your luxury listings that price-qualify for Carriage Trade will be automatically posted to carriagetradeproperties.ca as well as royallepage.ca with no further action required from you. You will receive an email notification that your property has been published to the website with the option to remove it. What if my luxury listing did not prequalify? If your luxury listing did not prequalify for Carriage Trade by price alone, it may still be eligible. See the Criteria section for full details on all Carriage Trade qualifying criteria. Properties that do not meet stated criteria, but are believed to be an exception, require approval. Considered by committee upon request where a property’s distinguishing characteristics are sufficiently unique and appealing to luxury buyers. Submit MLS number, property photos, description and rationale to carriagetrade@royallepage.ca for a weekday response within 48 hours. Royal LePage reserves the right to exclude properties that do not meet qualifying criteria from leveraging the Carriage Trade luxury property marketing program, including unpublishing listings from carriagetradeproperties.ca. If you have any questions, please contact Customer Care at 1.877.757.4545 or help@royallepage.ca.